We’ve been waiting in anticipation for the launch of the Blackberry 10 OS, and now that it is finally here, we’ve got some deciding to do. We like the fact that you can switch back and fourth between a personal and work profile. This would help keep your most relevant info at the tips of your fingers without having to worry about those babe photos popping up while trying to show an important doc to a co-worker. We also like the Blackberry Hub, which allows any users to collect all their notifications in one spot, reducing the task of signing in and out of separate accounts. The ability to share screen information without the necessity of e-mailing or uploading files is also a big draw. 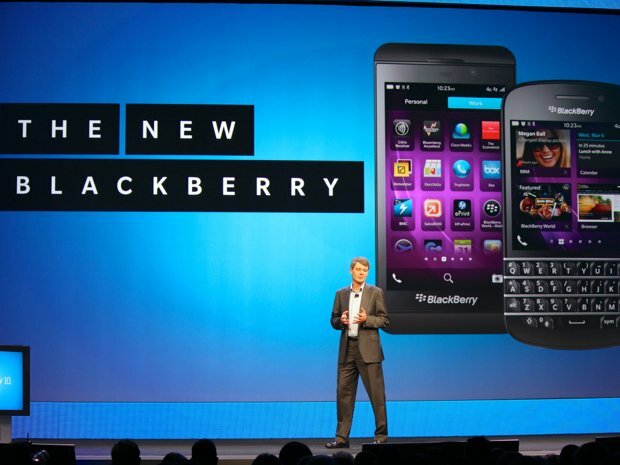 To keep up with its competition (Apple, Android, and Microsoft)), Blackberry has been hard at work creating an arsenal of apps. They’ve built up over 70,000 at this point. The only downside, is they’ve concentrated so much on competing with quantity; not all of these are of good quality, which means they’ve still got some work to do. A few of our favorite apps you can currently get are Kindle, Skype, SAP, and, of course, Angry Birds. While the intro of the Q10, looks familiar, boasting the classic keyboard, the Blackberry Z10 has brought the most buzz, featuring a touchscreen keyboard, which some die-hard Blackberry fans may look at with hesitance. However, we’re fairly certain that will become the norm with future offerings. Buy it here. Blackberry may have been lurking in the shadows for quite awhile, but they’ve chosen a great moment to get back in the game. With experts claiming that Apple’s luster (aura) is clearly headed on a downward slope, Blackberry has nowhere to go but up if they play their cards right.